Congrats to Sheila, who won a signed copy of Death of an Irish Diva from Mollie Cox Bryan! Lori Rader-Day is at her very first Malice Domestic this weekend, moderating a panel on sleuthing duos (THE BLACK HOUR relies on a duo), but the big news is that she got her first real review: Booklist gave The Black Hour a starred review! They called it an “unputdownable read”! Natalia Sylvester had the most fun ever meeting Heather at the DFW Writer’s Conference, where they were on a panel together about launching a debut novel. Many laughs, hugs, chats and drinks were had! 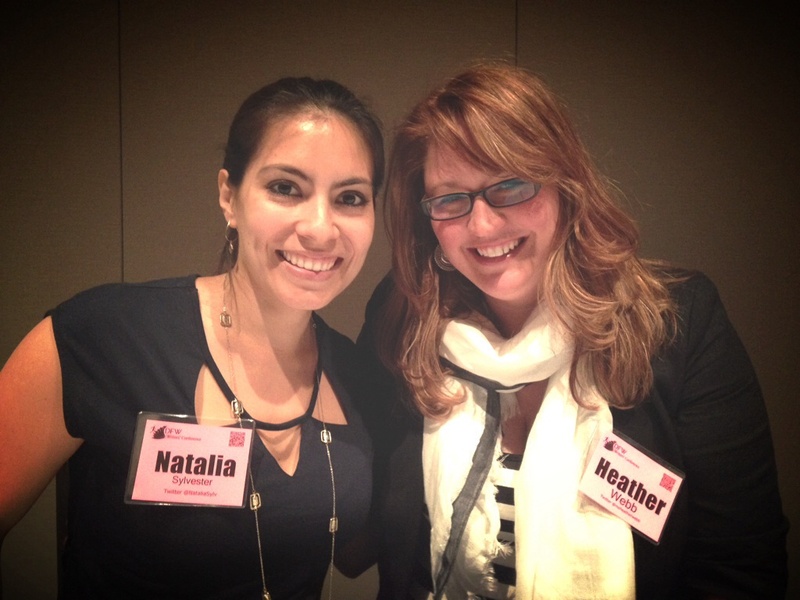 Heather Webb could gush and gush about meeting Natalia at #DFWcon. It was love at first sight. She also met a lot of writers and enjoyed some great workshops including those from the brilliant Donald Maass. Lisa Alber went to her high school reunion, where KILMOON was on display and she received the Kilmoon love from her classmates. Plus, one of her dreams came true: she saw her book at her beloved hometown bookstore! 2013 Deb Susan Spann has a giveaway going at Goodreads for Blade of the Samurai, the second book in her mystery series. 2011 Deb Tawna Fenske’s new book Frisky Business is out on Tuesday! 2011 Deb Sarah Jio’s new book Goodnight June is out May 27! ← KATHRYN O’SULLIVAN on Awards, Grisly Moments, and Mustangs + 2 Book GIVEAWAY!